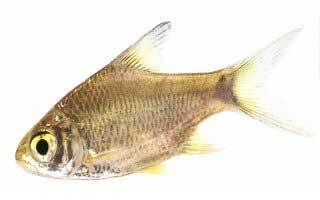 THIS BARB IS VERY RARELY SEEN IN UK TANKS.VERY SIMILAR TO THE ODESSA BARB BELOW. 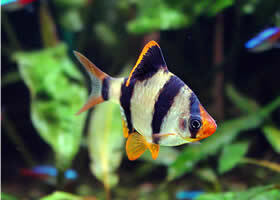 MALES OF THIS SPECIES ALWAYS SHOW BETTER COLOUR THAN THE PLAIN GOLD FEMALE. 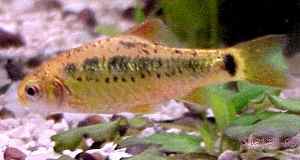 THE TINFOIL BARB IS ONE OF THE LARGEST BARBS,AND IS ONLY SUITABLE FOR THE BIGGER TANKS. Males can be identified by a black line along the lateral line.